This past weekend, while boondocking in a Cabela's parking area, I noticed a significant puddle forming under my RV. When I looked closer I saw that it was coming from the cold water low side drain outlet. You know, the one that you use to drain out the cold water side of your RV's water system. Nothing looked broken, but the valve was obviously not closing completely, so a dribble kept flowing. Not a lot, mind you, but enough to make me uncomfortable. It was fresh water, so no biohazard here...but with a limited supply of fresh water, watching ANY of it wasted would be a very bad thing indeed! Thankfully, a temporary fix was a 10 minute job. In my largest (by a big margin!) external storage compartment I have three valves. Two open/close the low point drains for hot/cold water and one switches between city/external pressurized water and the on-board pump. Since they are mounted low and to the side they often got hit by stored items. I did my best to block them from harm, but it obviously wasn't enough. At some point, the valve handles (which point the wrong way when closed) get "nudged" by objects in the storage bay. After a lot of hits, one of the valves stopped closing completely. I removed the screw holding the handle on the plastic valve and rotated the shaft manually...couldn't get it to close any better. And I was losing water! The only quick solution was to cut the pipe after the valve, which was the only place I could really do that, and replace it with a capped end. I needed the cap for the pipe, a small hacksaw and a way to attach the cap to the cut pipe. I decided to do this AFTER the valve, because while it WAS leaking, it did slow the flow a lot. If I did this on the other side of the valve, I would have to deal with massive amounts of water pouring out of the freshwater tank into the storage bay, while trying to cap the flow. Not a great way to spend time inside a tight compartment. The main issue was how to attach the new capped end to the cut pipe. As everyone knows, I keep lots of miscellaneous spares on-board. I had a 1/2" SharkBite connector with a 3/4" threaded end. The cap I had was 3/4"...Aha! That would work. I screwed the cap tightly onto the fitting and then made the cut. I inserted the 1/2" pipe into the SharkBite end and seated it firmly. While some water escaped onto the floor of the compartment, it wasn't a big deal and the leak was stopped. The problem I have now is I've lost the ability to use the low point drain, so the valve has to be replaced. This time I will be using different valves, but since I am NOT replacing all the CPVC (Grey) original plumbing, I'll use more SharkBite style push fit connectors to make the job quick and easy. I also ordered an extra valve, just in case! And a few 1/2" to 1/2" straight unions to make sure everything will fit together. All together this should be a permanent repair, better than the original. Hi Rich, thats sure a great way to fix a problem, that if not fixed might cause some serious issues if you were dry camping! I was wondering why you just didn't put the repair at the end of the tubing that protrudes under your RV? Also I carry stuff that might have been a quick fix is several different size tapered rubber plugs that could just be stuck in the end to stop the leak. Actually I use one on my 2017 M/H for the overflow outlet, as there's no valve for that, but I'm going to install a ball valve that needs only a half turn! When they designed my RV, for some reason, the low point drain for the cold water side drains ON TOP of the gray tank. They have a fixed brass 60 degree drain tube that goes through the storage floor and is fixed there. No way can I ever reach it to plug the opening! Ribber plugs are great, but I worry about travel vibrations loosening them. AS a homebuilder, I asked a plumber friend if I could use a SharkBite device in an attic plumbing leak. He suggested that if it's under high pressure he has had them fail, an will not use them in areas where future leaks may become a serious problem. He suggested a more "permanent fix". It appears that your condition is not under "street pressure", so it is probably not a concern. Personally I keep an assortment of SB devices for TEMPORARY fixes, but with all of the dynamics of our boxes rolling down some less than perfect roads, I will always make a permanent repair upon returning to home. There are various opinions on press fit connectors. But you are right, I like them for semi-permanent low pressure connections. This one is a simple drain valve, so really very little pressure at all! Sorry, but you are not "boondocking" at Cabelas! 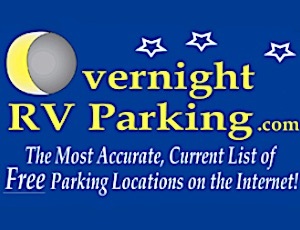 Overnight parking in a parking lot, yes, but not Boondocking.